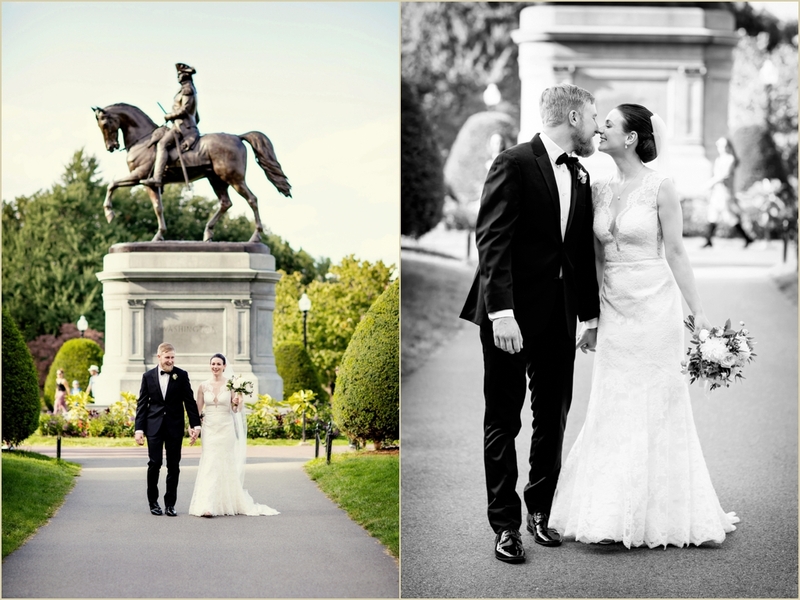 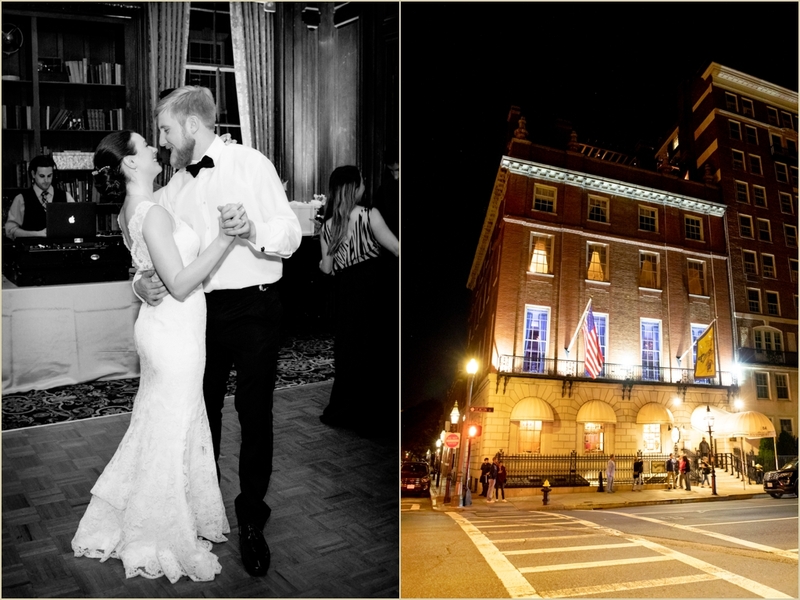 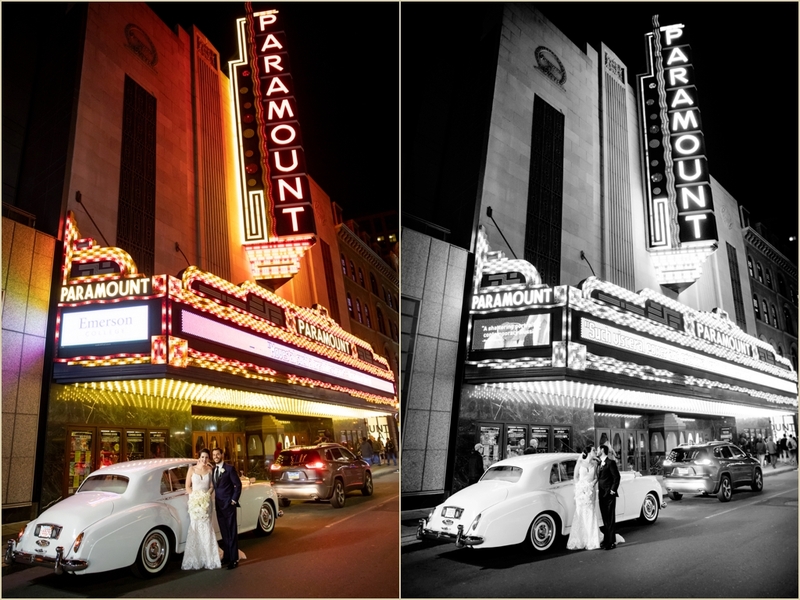 I think we can make it official — the Fall wedding season has arrived in Boston! 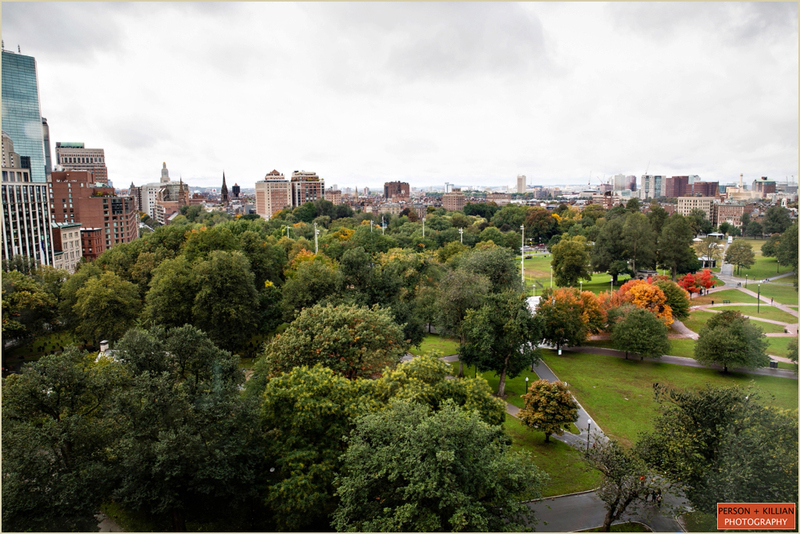 For those that know the area, you know that there is nothing quite like New England in the Fall. 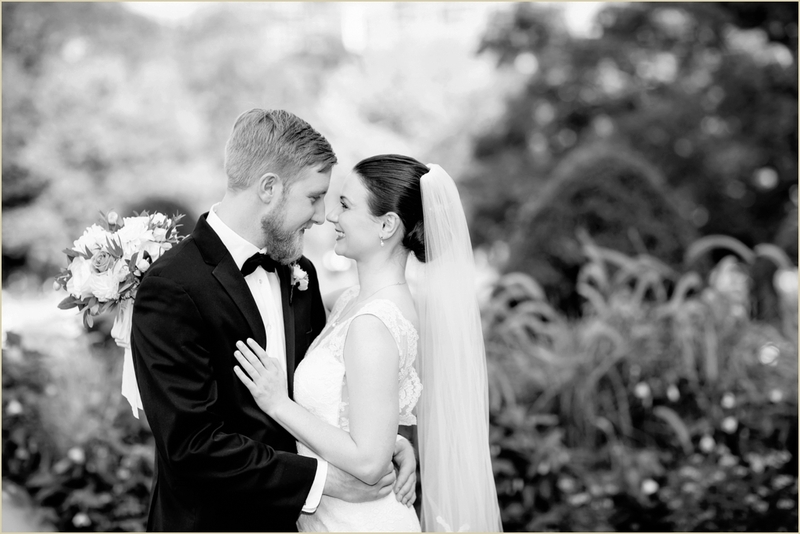 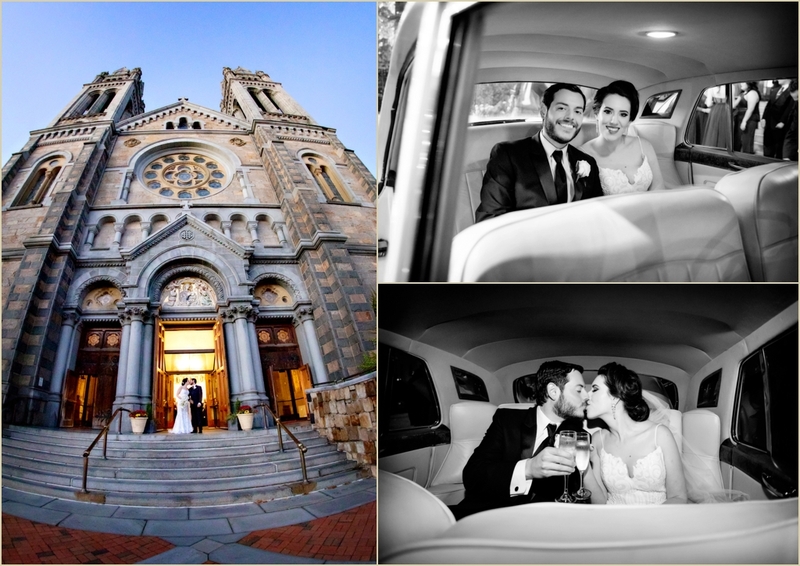 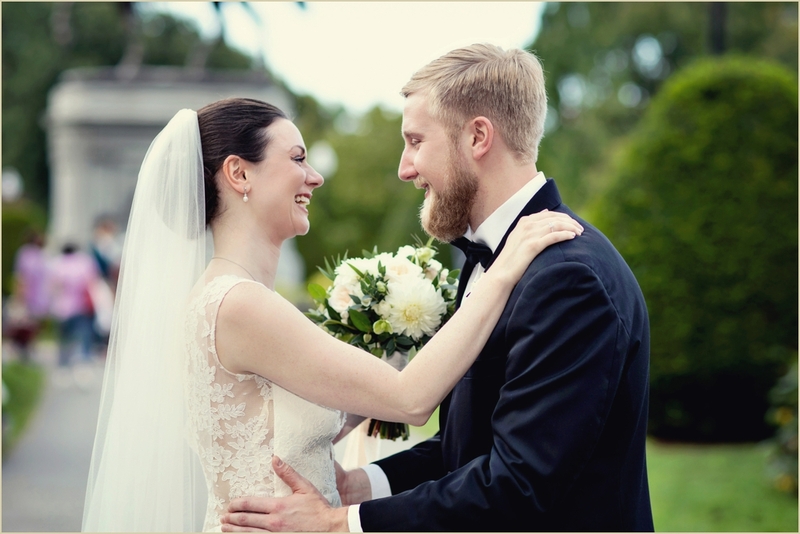 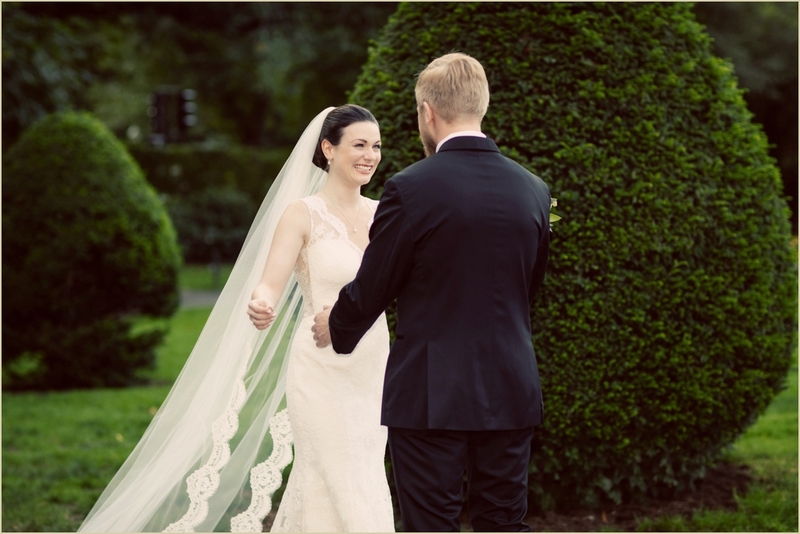 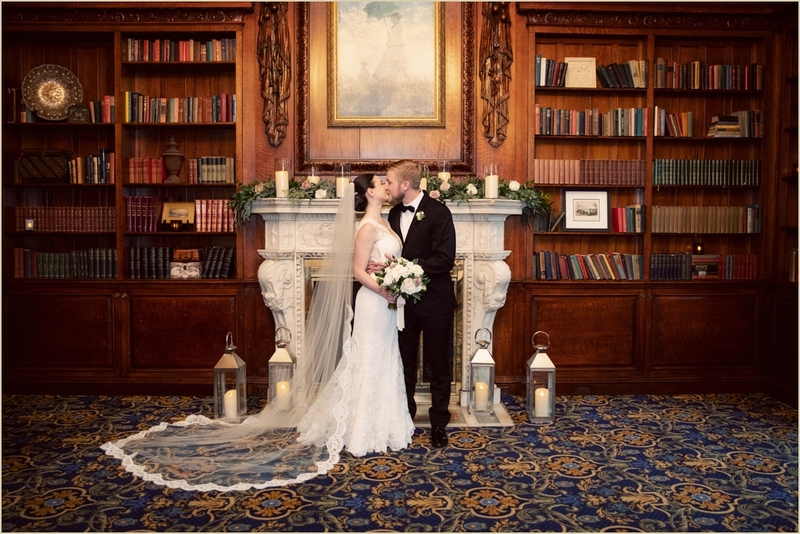 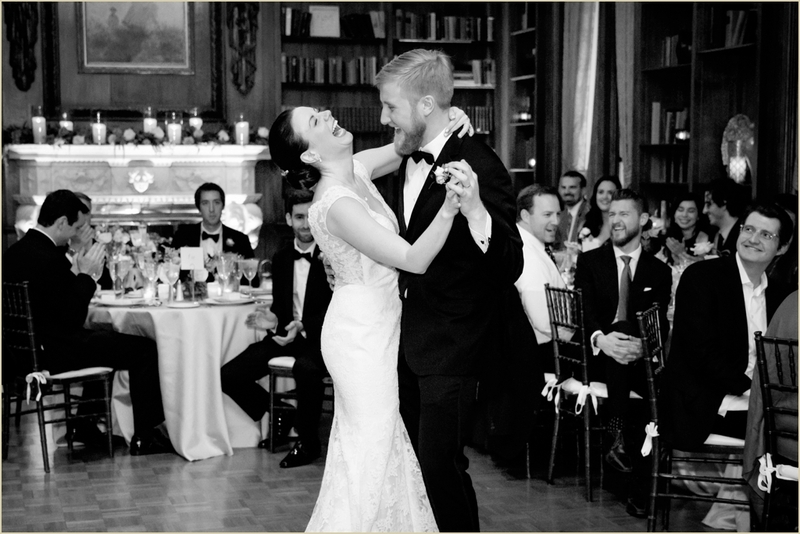 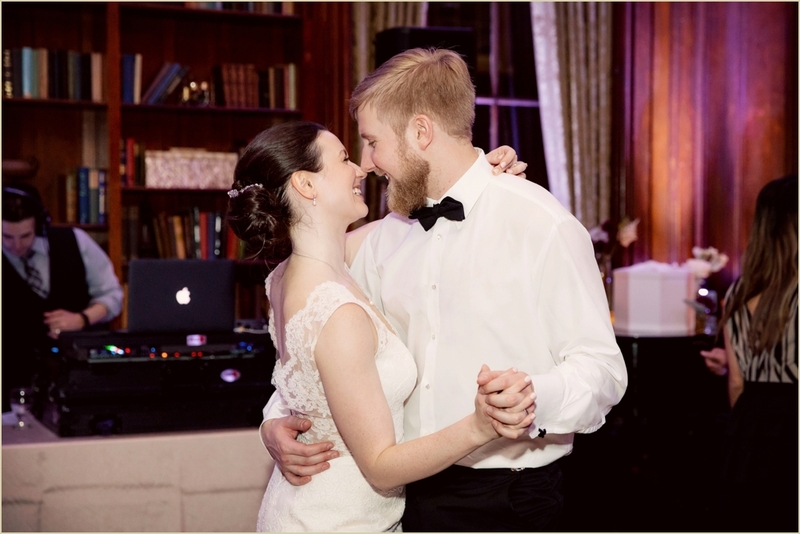 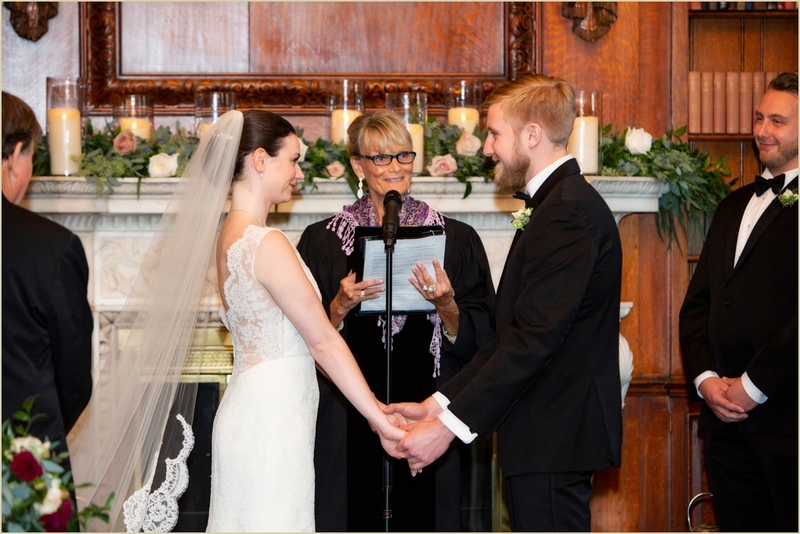 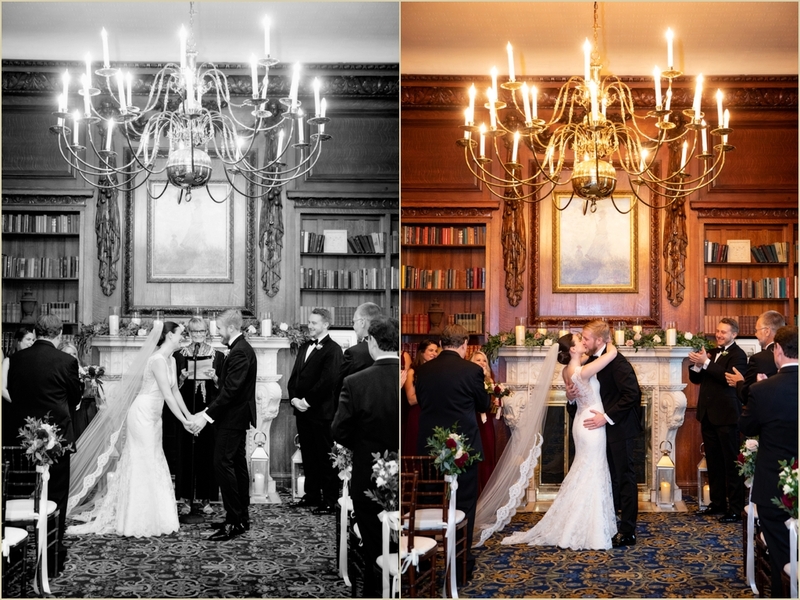 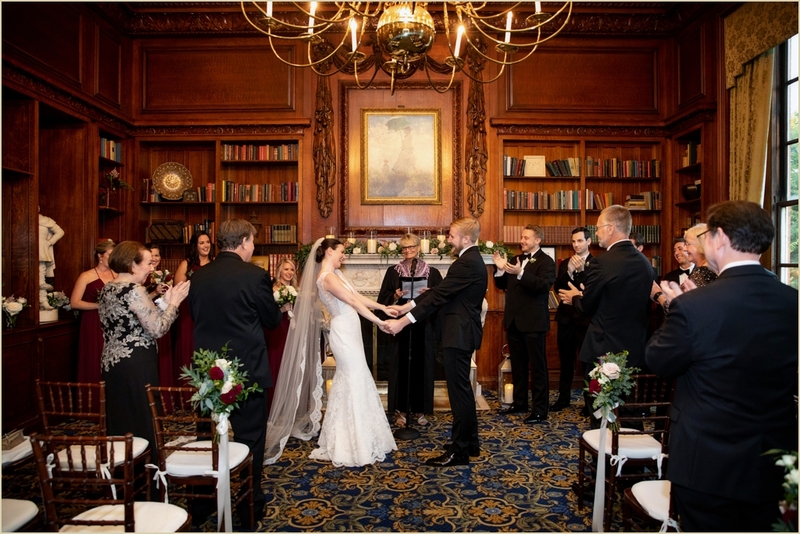 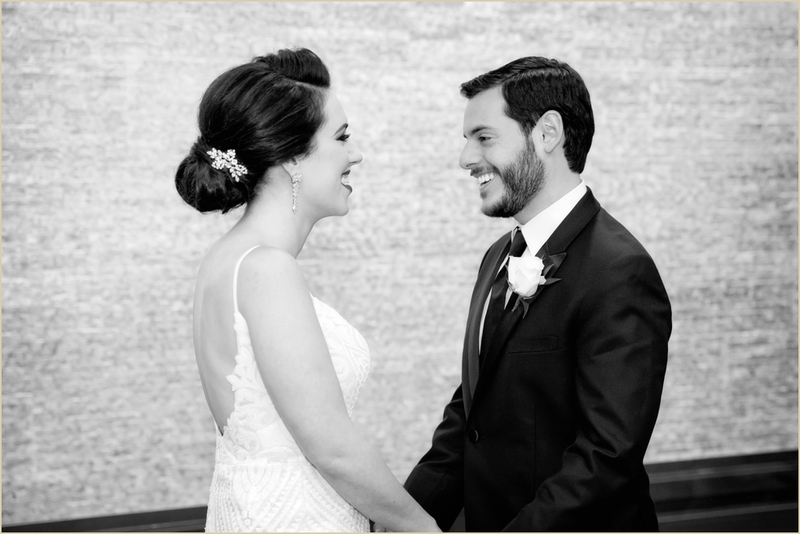 Emily and Erik chose the Hampshire House for their Boston Fall wedding day, with its cozy interior and dark wood detailing it was the perfect fit for this late September celebration. 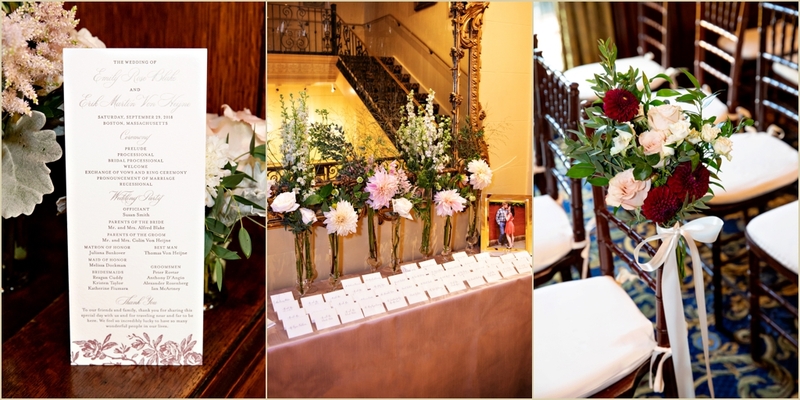 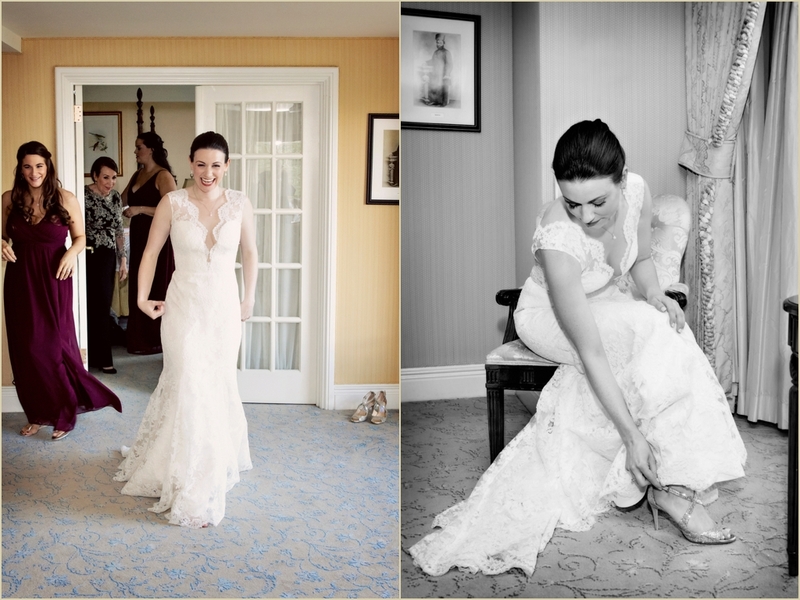 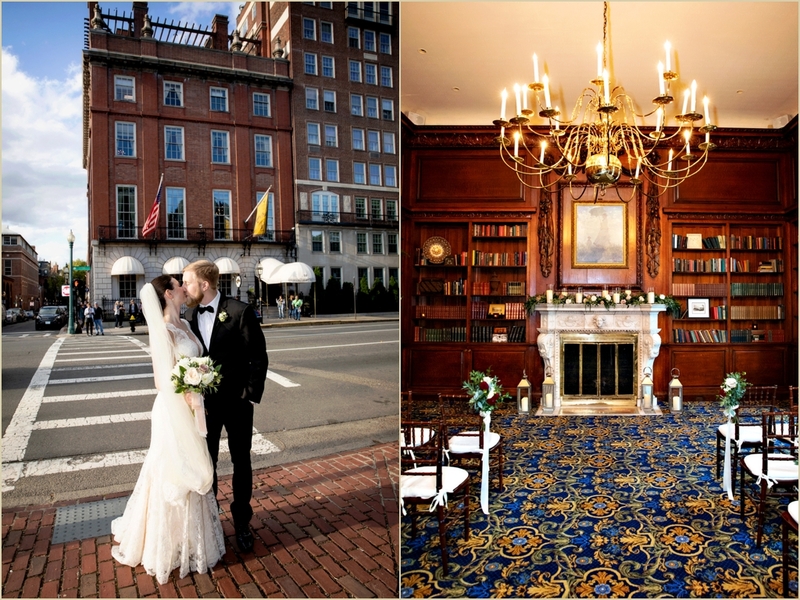 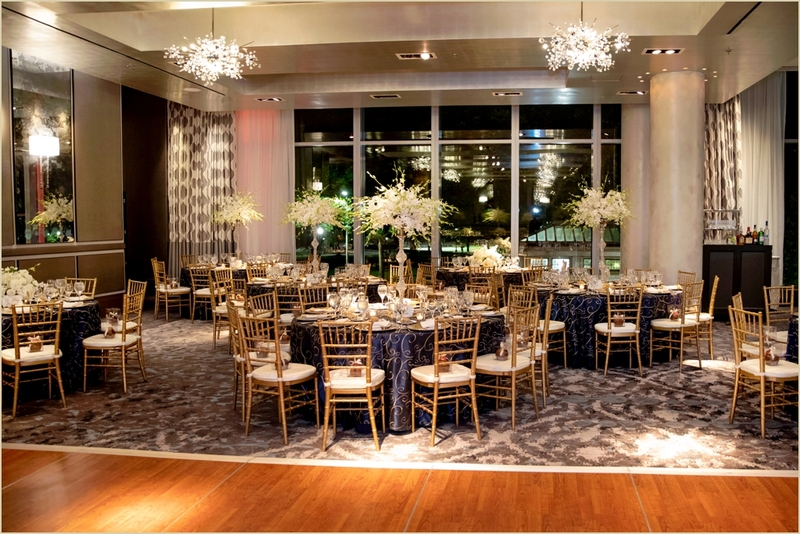 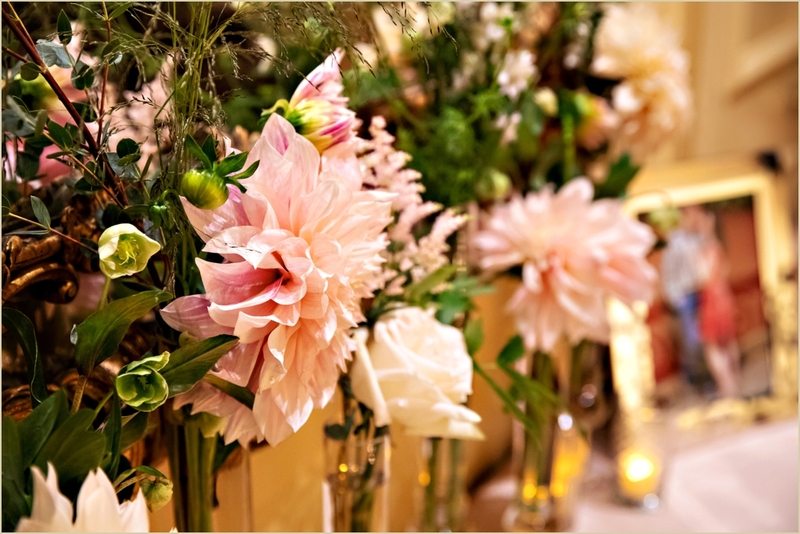 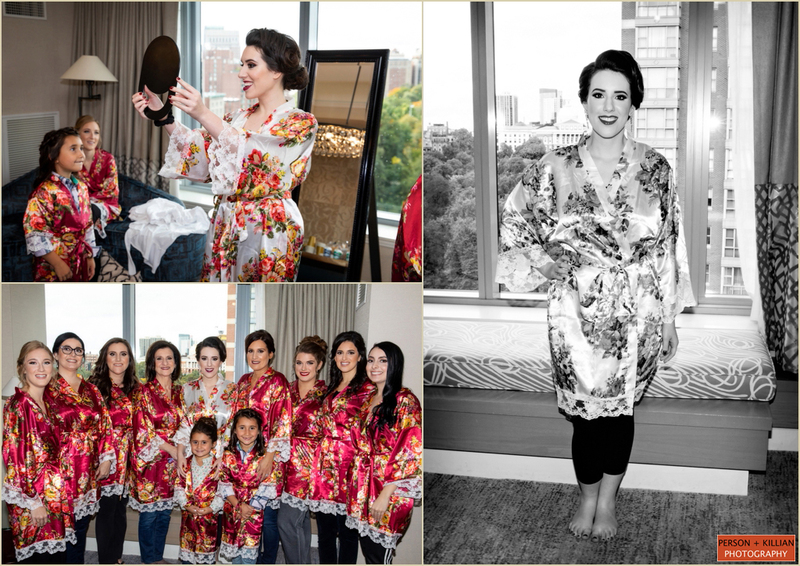 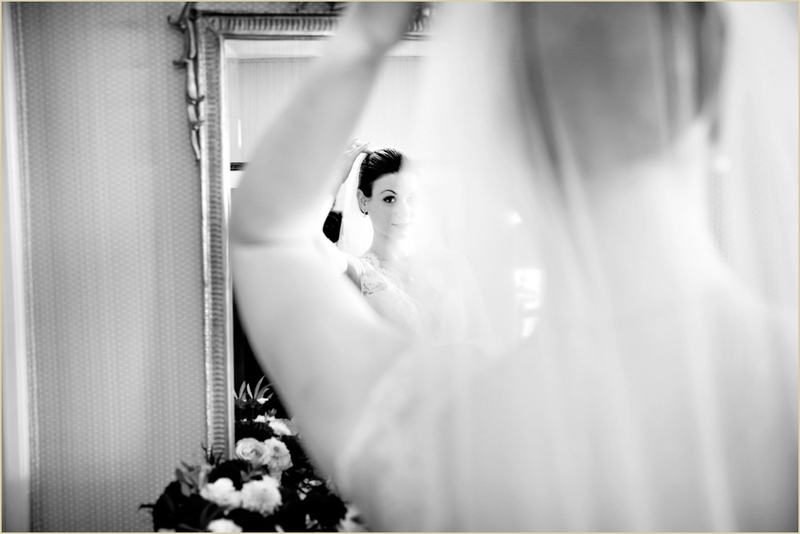 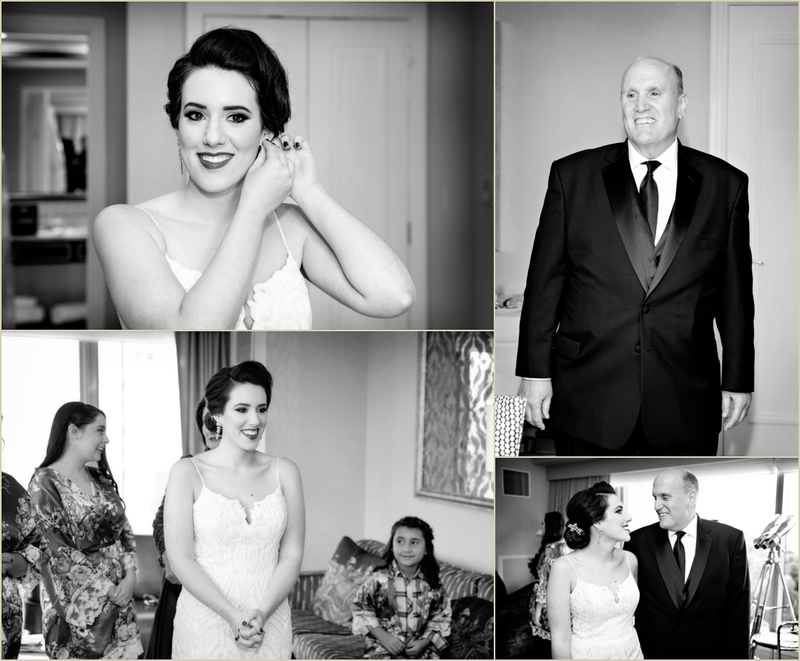 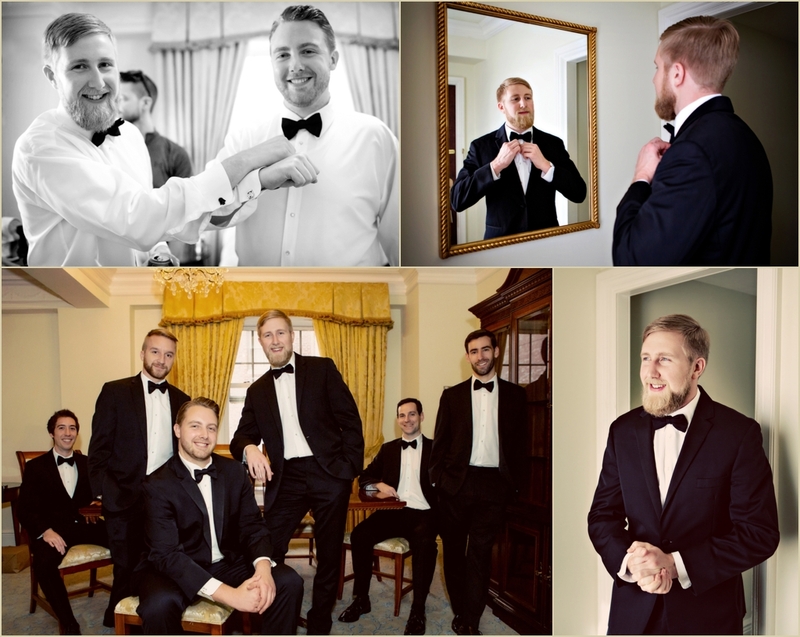 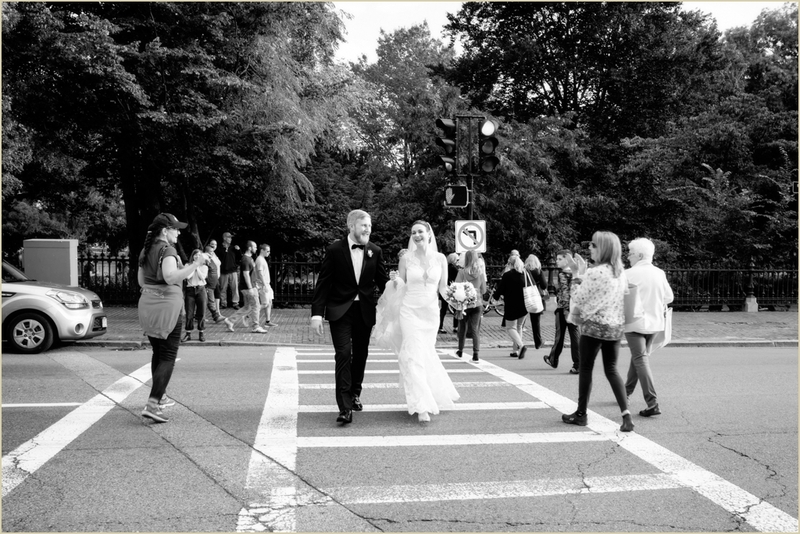 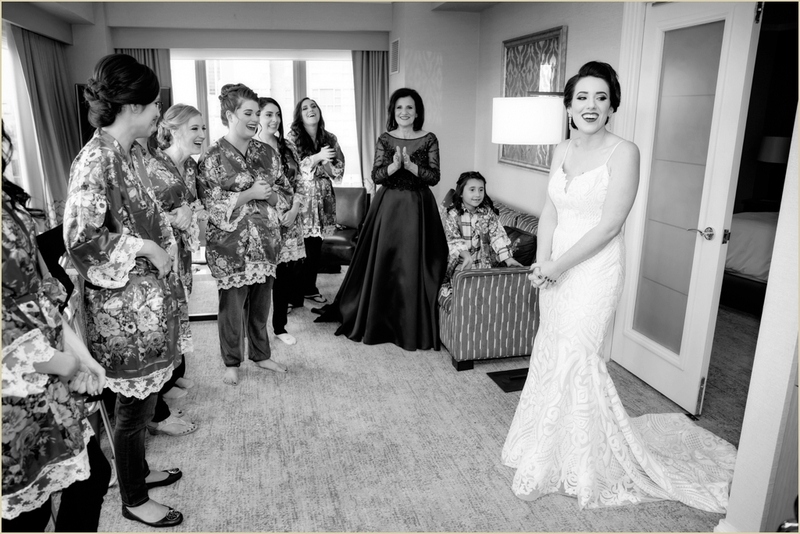 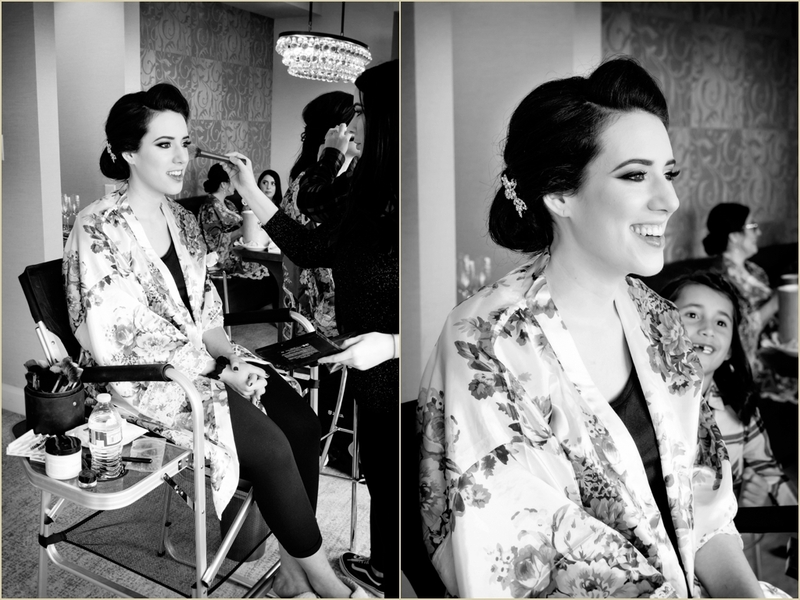 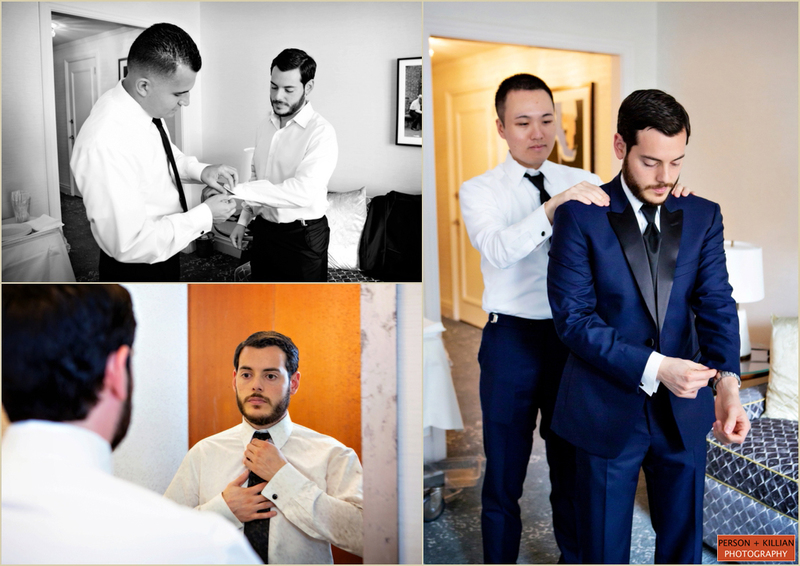 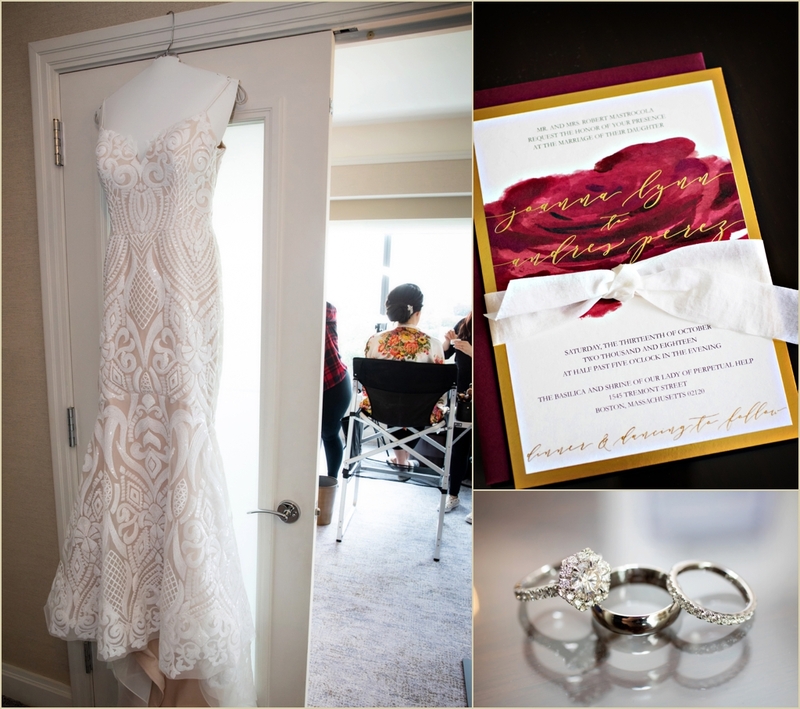 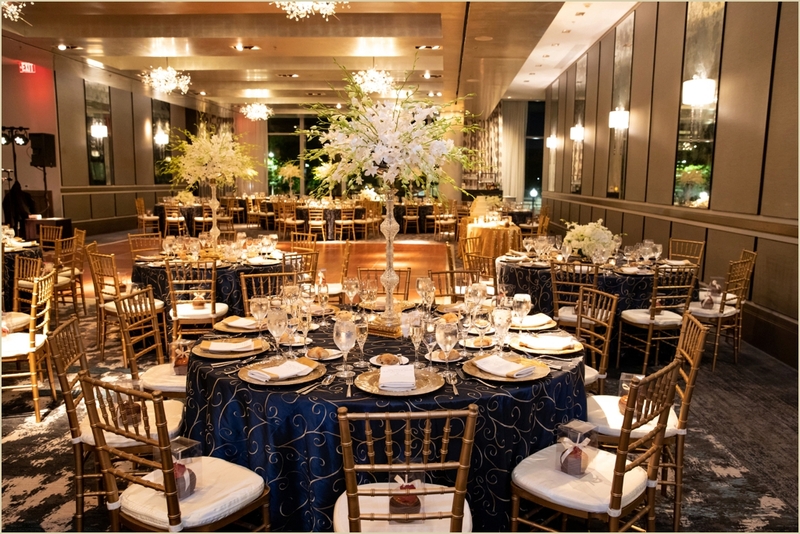 We never had to travel far for any of the day’s events — with the Boston Public Garden right outside we had no shortage of gorgeous locations and started the day with getting ready at Taj Boston. 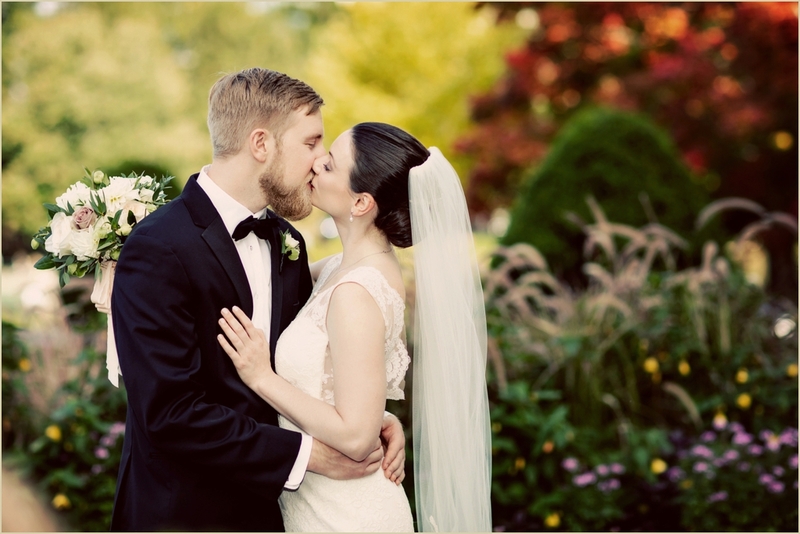 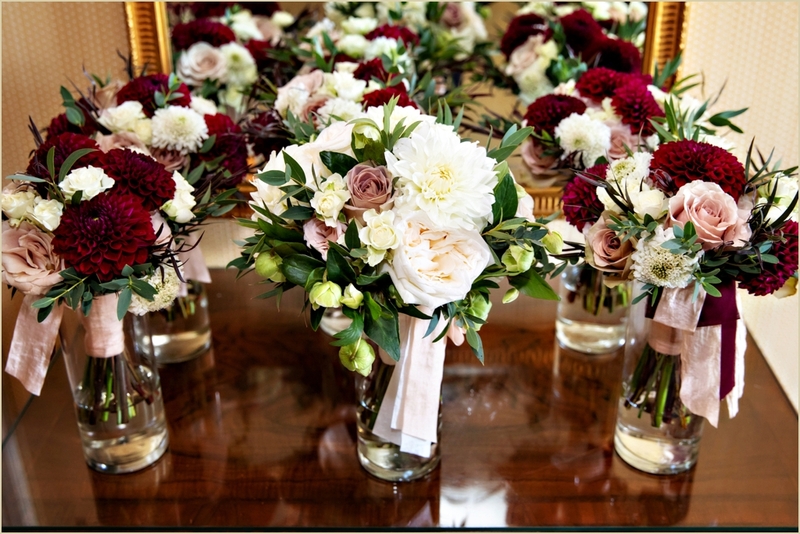 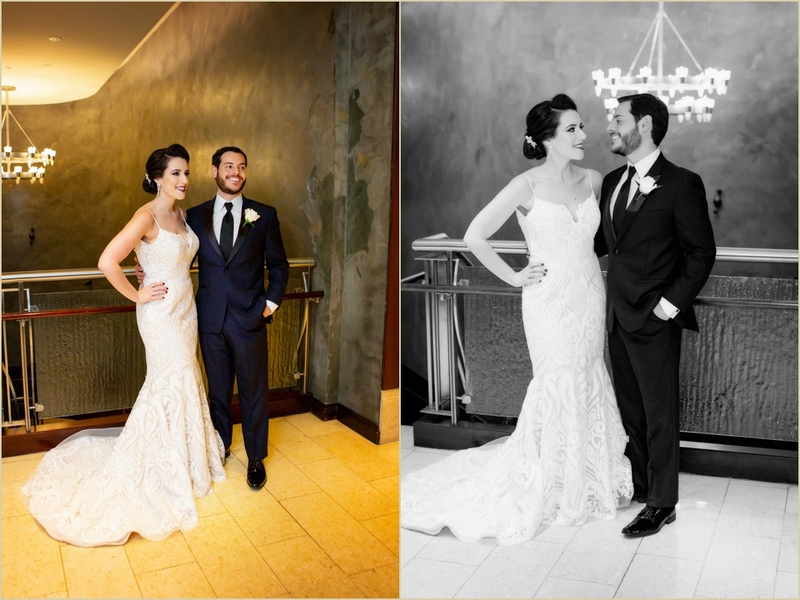 Emily and Erik chose a fall color palette of dark cranberry red, contrasted against soft pink and white. 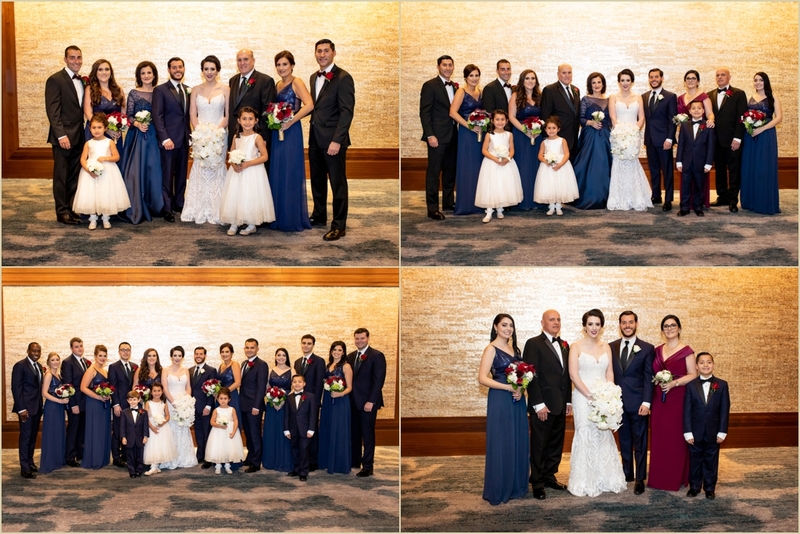 The colors appeared in all of the floral bouquets, table settings, and in the gorgeous color of the bridesmaid’s dresses. 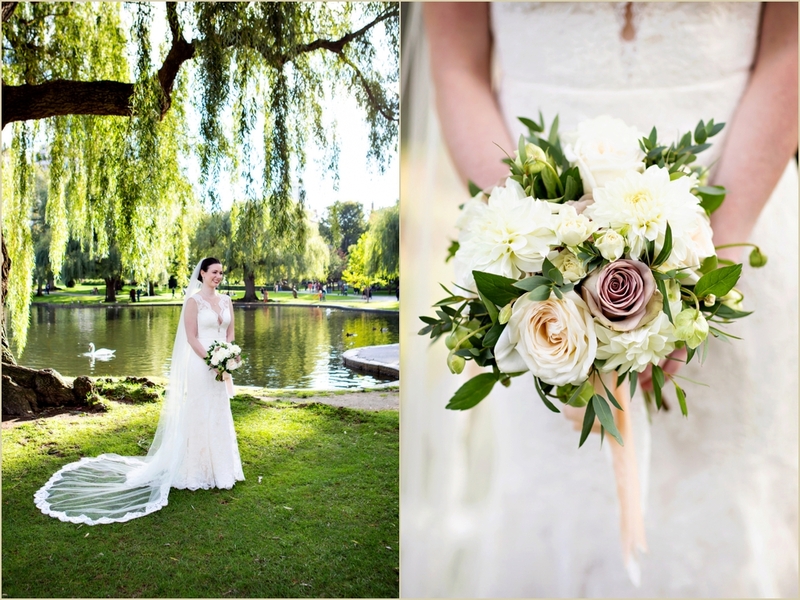 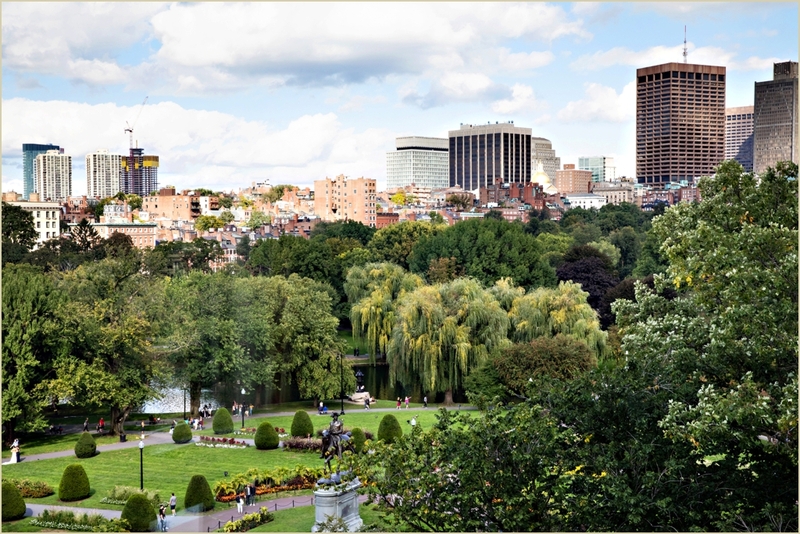 We took advantage of the Public Garden for all of our outdoor formal photos, we love how different areas of the garden show off different trees in bloom — from full Summer green to the changing Fall foliage. 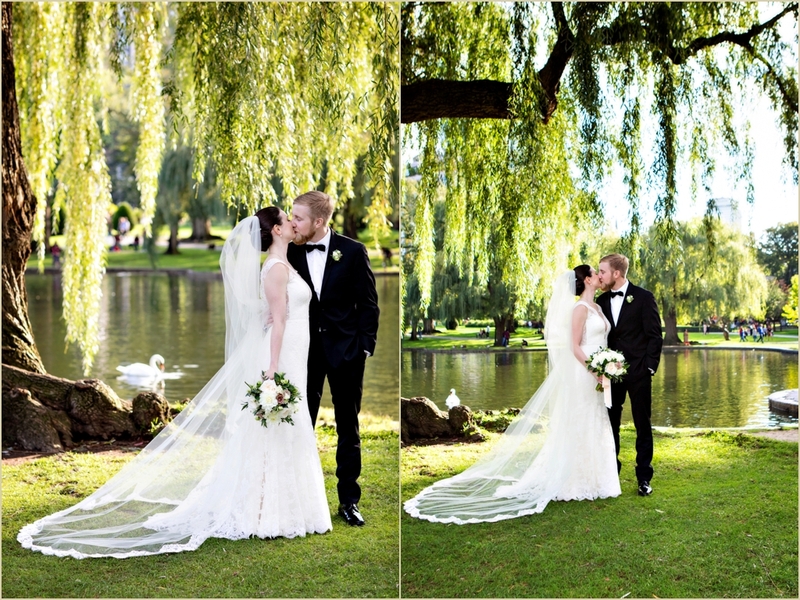 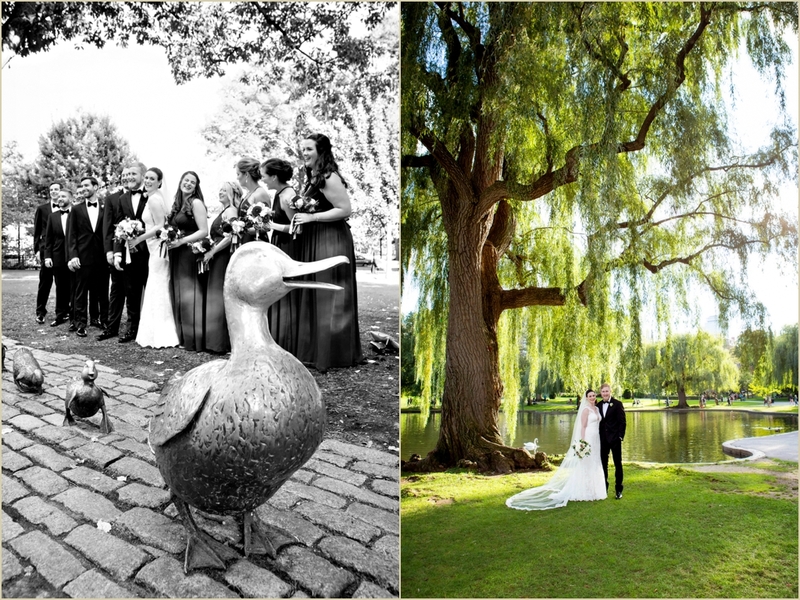 We even had a swan serendipitously swim by on the pond behind Emily and Erik while we were taking formal photos, sometimes you can’t plan these things! 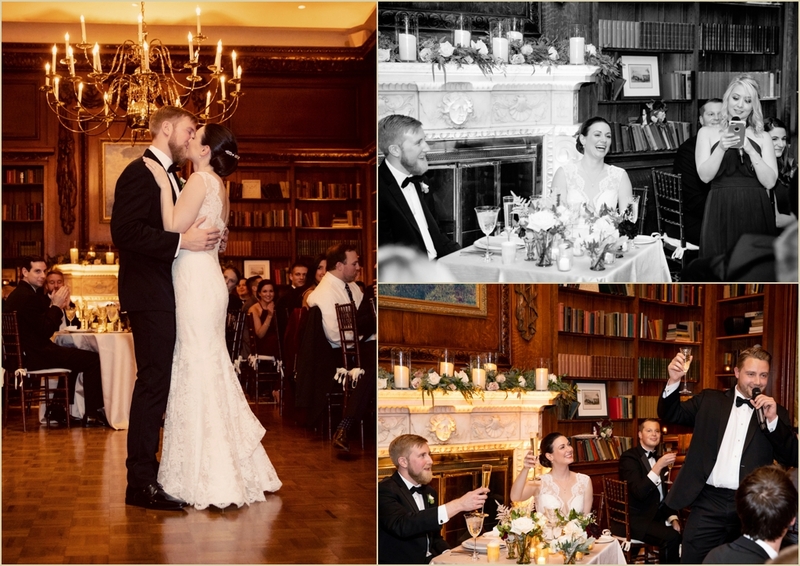 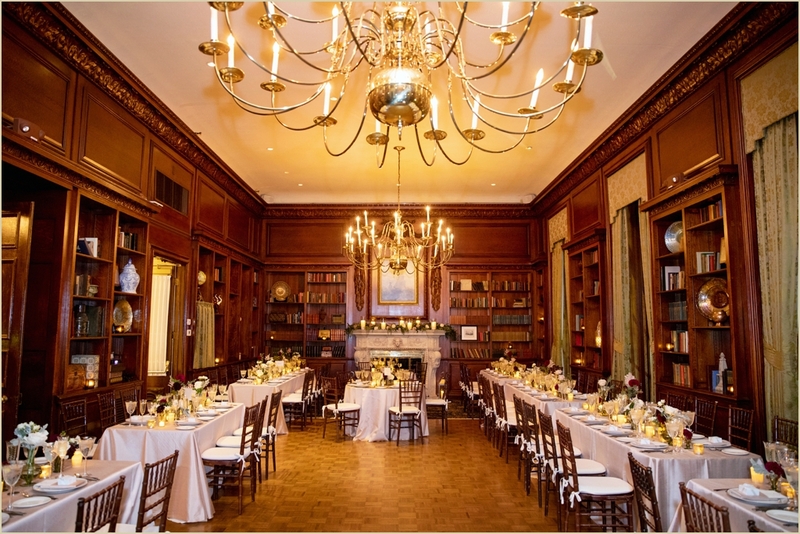 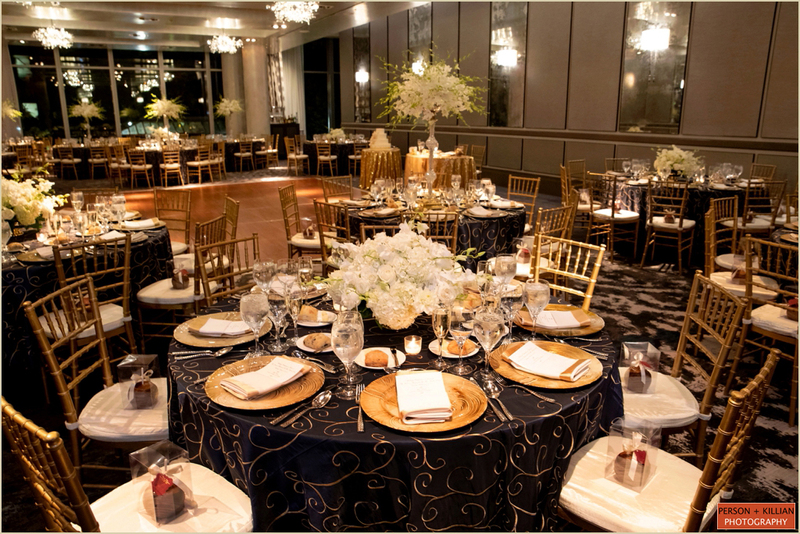 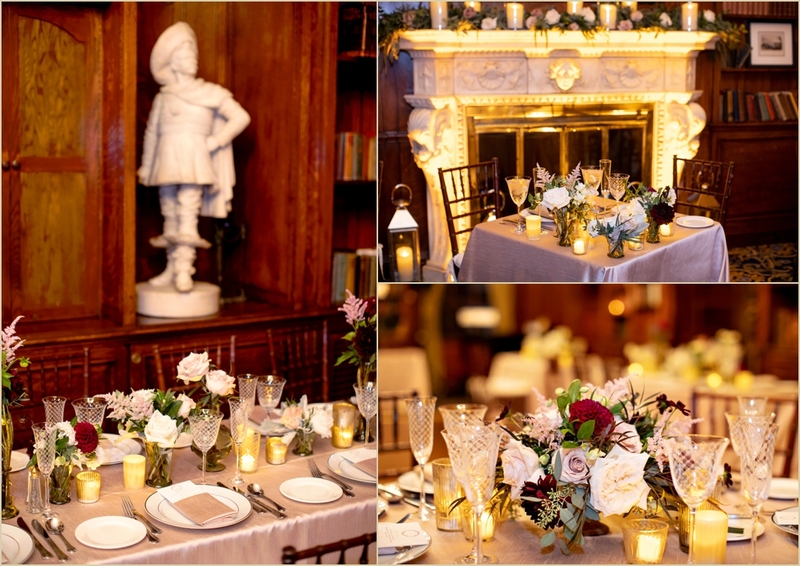 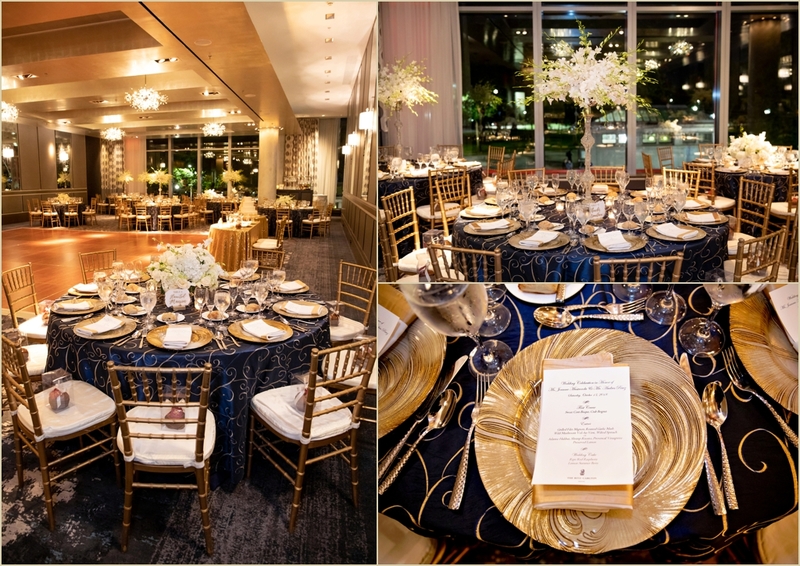 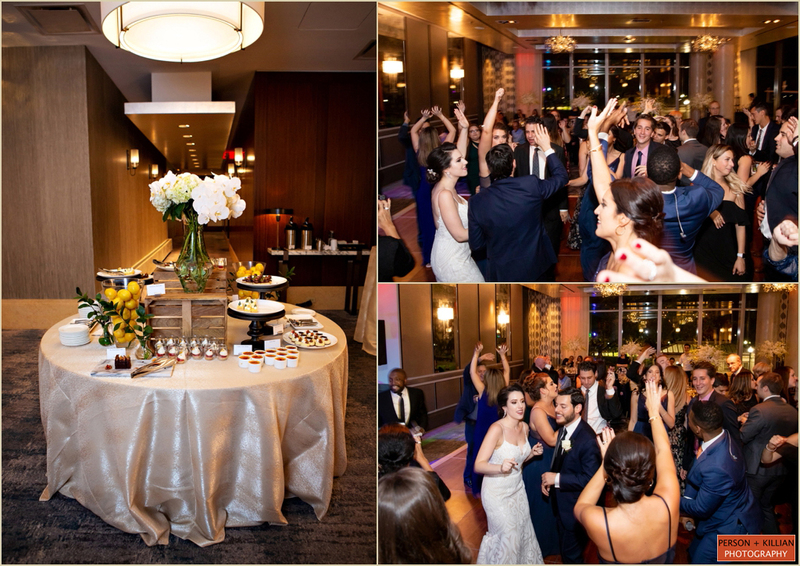 All of the wedding events took place at the Hampshire House, from the intimate wedding ceremony through the evening celebration. 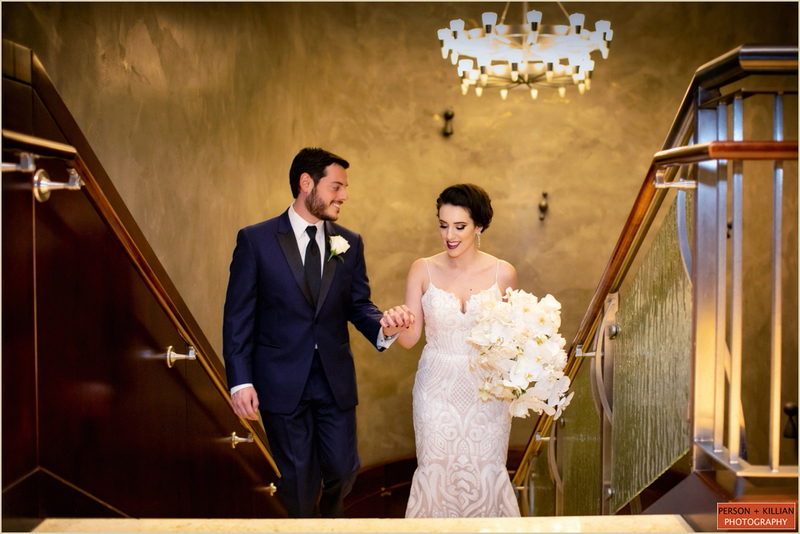 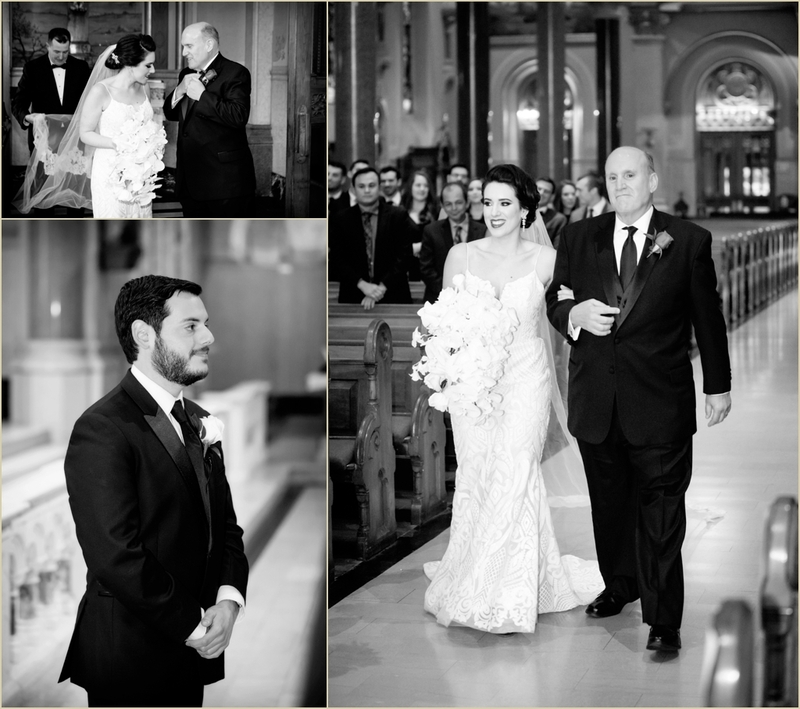 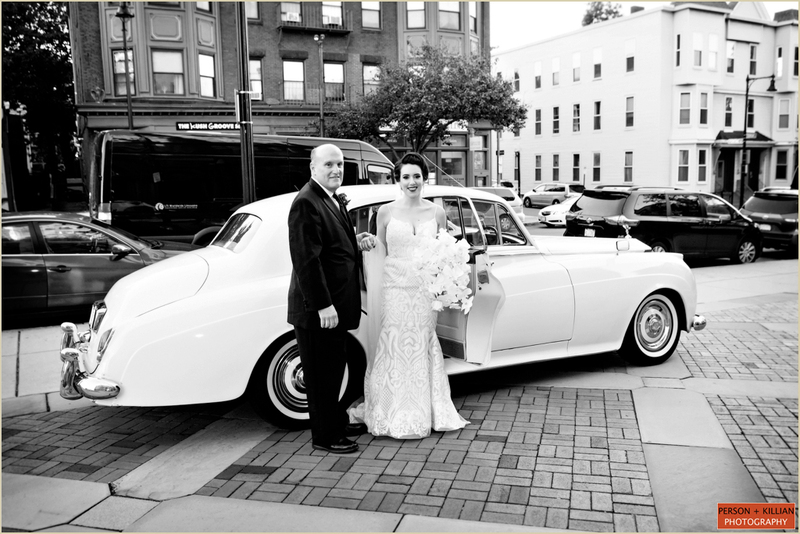 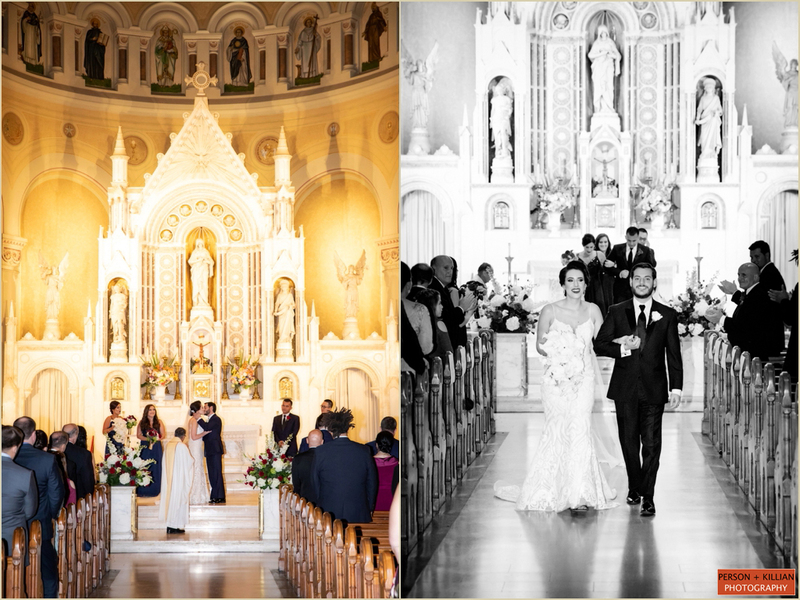 The ornate wooden architecture and deep natural colors were the perfect compliment to the details of Emily and Erik’s Fall wedding. 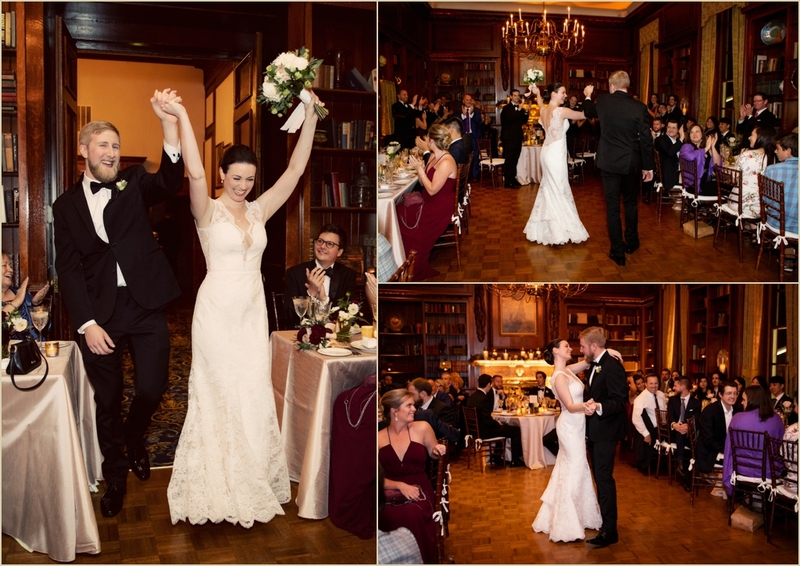 A close-knit party of about 70 guests watched the couple become husband and wife, enjoyed dinner, toasts, and an evening of laughter and dancing in celebration of Emily and Erik. 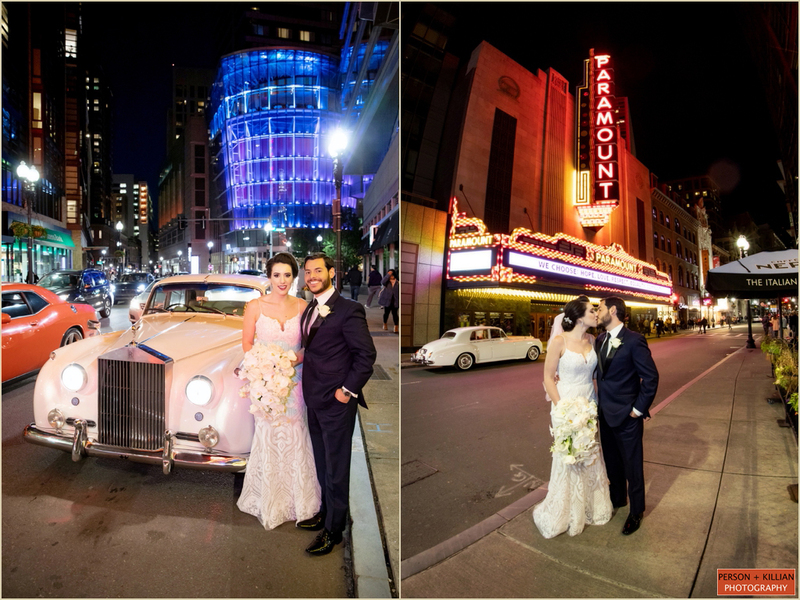 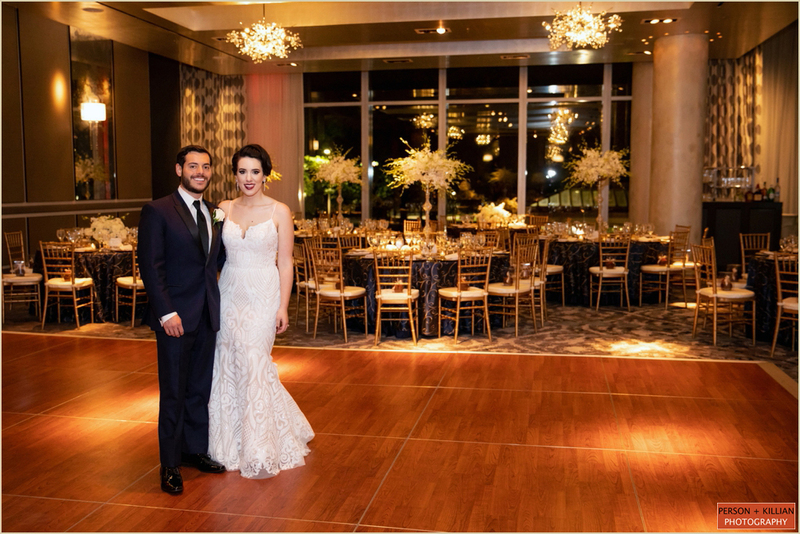 Special thanks to this wonderful couple for being so much fun to spend a day with, and to Michele, Karim and their team at the Hampshire House Boston for always being a pleasure to work with!